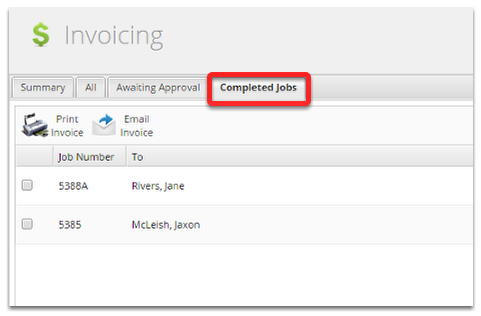 This lesson will show you how to set up your account to track invoicing with your non-integrated accounting package and will show you how to track the invoices you have transferred to that system. Change this payment tracking to No. Ok, that is the only setting you will need to change, now we will go over how to track jobs that you have transferred. Awaiting payment and Paid tabs have been replaced with Completed Jobs. 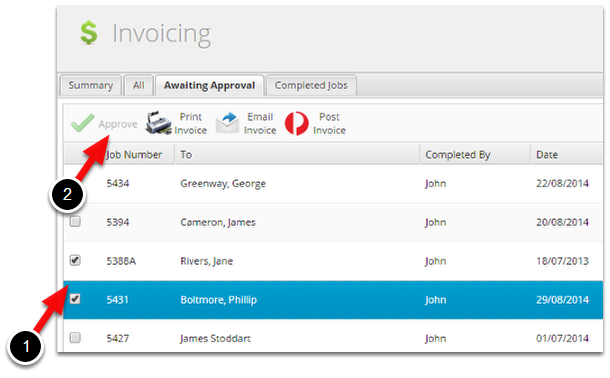 Now, simply approve invoices once they have been transferred. 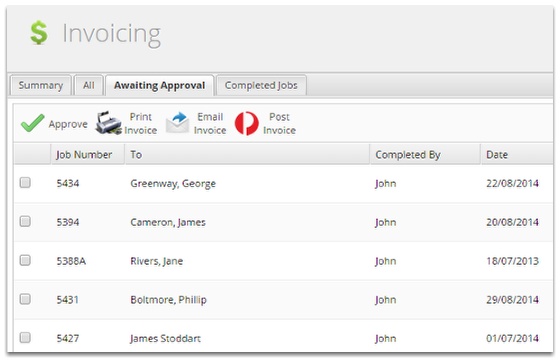 The only information you need to transfer into the your accounting package is the invoice total and customer, as you will still be able to invoice out of ServiceM8 with a fully itemized invoice. You can approve as many jobs at once as you like. You can also open the job by double clicking it. 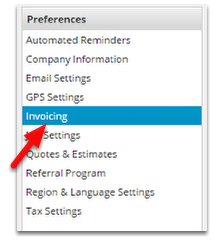 Here you can still Email & Print invoices, they will stay in the completed tab for 2 weeks after their approval.